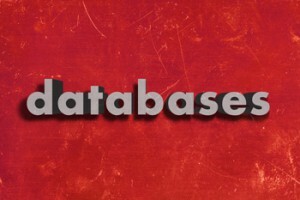 NoSQL Is On the Move In the Relational Database Market | Blue Mountain Data Systems Inc. The adoption of Big Data is sending the database market in a new direction. Oracle, of course, remains on top, but NoSQL is making its presence known and wants a piece of the market’s pie. NoSQLs have a long way to go, but it’s equally clear that they’re headed in the right direction, and that except for Oracle, the traditional relational databases, and particularly MySQL, are all taking a bit of a beating at the hands of NoSQL databases. In fact, it’s fair to say that most of NoSQL’s immediate gains are coming at MySQL’s expense. Why? MySQL initially took off with the newer workloads (requiring scale, etc.) and younger developers. Now that there’s an alternative that better fits these workloads, it’s easier to shed that free, open source database for another free, open source database than to dump Oracle or SQL Server, both of which come with a hefty price tag. Yes, ironic as it may sound, the huge cost of Oracle is often it’s greatest defense. Yet even Oracle has its work cut out for it. As Aerospike VP (and former Wall Street analyst) Peter Goldmacher declares, “All the legacy guys are going to die… [but Oracle is] going to die last.” In part this is because Oracle is the best-engineered database product among the traditional RDBMSes. But in part it’s because it’s the market share leader, and claims fealty from a generation of database admins. As Big Data becomes bigger, the enterprise will increasingly rely on Hadoop and these leading NoSQL databases. At first, this is hitting MySQL hardest. But over time, every RDBMS, including Oracle, is at risk. For more info on how NoSQL is making its mark in the database marketplace, see the full TechRepublic article.